Mark has been nominated, along with 7 other individuals and the UConn Football Team, for this year’s FedEx Orange Bowl Courage Award. Each week the Football Writers Association of America (FWAA) voted on and selected one individual, or team in UConn’s case, that displayed an act of courage that stood out from the rest. The requirements for the nomination include “displaying courage on or off the field, including overcoming an injury and living through hardship.” Kind of a no brainer looking back at Mark’s battle with Ewing’s Sarcoma this season. A blue-ribbon panel will determine the winner from all of the nominees. 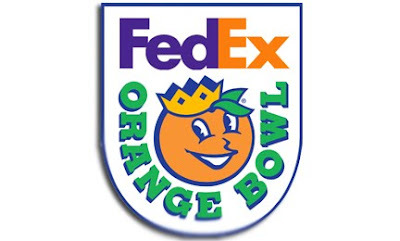 The winner of the FedEx Orange Bowl-FWAA Courage Award will be announced in December and be presented with the trophy. The Courage Award was created by ESPN The Magazine’s senior writer Gene Wojciechowski, also a FWAA member. A select group of writers from the FWAA vote on the winner each year. We want to congratulate all of the nominees this year, but especially Mark. We believe it takes a hell of a lot more than courage to do what Mark has done. Not only did he battle and beat the cancer within his own body, but he inspired a nation to raise money to help others beat cancer. To date the donations are reaching $200,000. That is a pretty huge helping of courage if you ask us.